“Can the Rhineland sustain two art fairs?” was the question on everyone’s lips as the first Art Düsseldorf opened its doors to VIP guests on 17 November. But any rivalry with neighbouring Art Cologne was swiftly forgotten as the aisles began to fill and sales started to flow. The Berlin gallery Dittrich & Schlechtriem reported that more than 80% of its sales went to Cologne collectors. 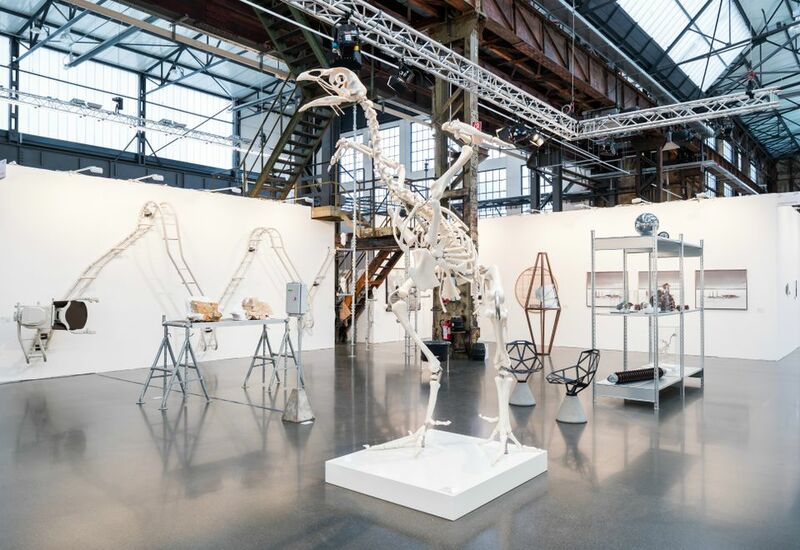 “They are not threatened by Art Düsseldorf, but rather see it as a great addition and possibly a wake-up call to Art Cologne to work harder,” the co-owner Andre Schlechtriem says. Works in his booth range in price from €500 to €50,000. Embodying “the Rhineland friendship”, the Düsseldorf gallery Van Horn is sharing a stand with Markus Lüttgen from Cologne. “Historically Cologne and Düsseldorf were both cultural epicentres—Cologne had the galleries and Düsseldorf had the artists,” says Daniela Steinfeld, the founder of Van Horn. To outsiders, any rivalry seems a moot point. “I don’t buy it. 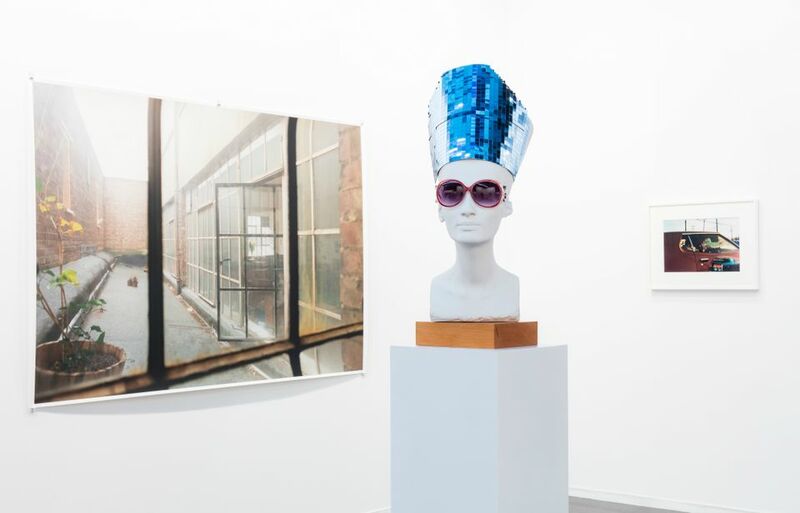 The fairs are at different times of the year, and they have different galleries,” says the New York dealer Philip Grauer whose gallery, Canada, has shown at the April fair in Cologne for the past few years. Grauer sold two paintings by the septuagenarian Brooklyn painter Katherine Bradford to collectors from Frankfurt and Amsterdam, priced at $12,000 and $35,000. Unlike Art Cologne, which boasts around 200 dealers, Art Düsseldorf is a compact event with 79 exhibitors, whittled down from 217 applicants. Billed as a regional fair, 50% of dealers are German with a further 10% from the Benelux countries. The Belgian collector Alain Servais likened the new fair to “an elegant, smaller version of Cologne” with very large booths relative to international standards and a lot of painting, “which gives it a strong Rhineland flavour”. Artists from Düsseldorf or those with long-standing connections to the region are in abundance. The German gallery Michael Werner is showing paintings by Jörg Immendorff, Markus Lüpertz and A.R. Penck, who all studied or taught at the Düsseldorf Art Academy. David Zwirner gallery has dedicated half of its booth to a selection of US and German photographers, among them Thomas Ruff, who studied under Bernd and Hilla Becher and whose studio is a stone’s throw away from the fair. Meanwhile, Berlin’s Galerie Bastian has a solo show of works by Robert Rauschenberg, who had a major retrospective at the Ludwig Museum in Cologne in 1998. “There were great collectors in the Rhineland who were interested in Rauschenberg in his lifetime. My father worked with him in the 1980s,” says the gallery’s director Aeneas Bastian. Editions and prints are priced at €8,000, while paintings are up to around €480,000, with several sales reported on the opening day. If Düsseldorf and Cologne appeared to have put their differences behind them–culturally speaking, at least–the other lingering question concerned the intentions of the Swiss-based MCH Group. 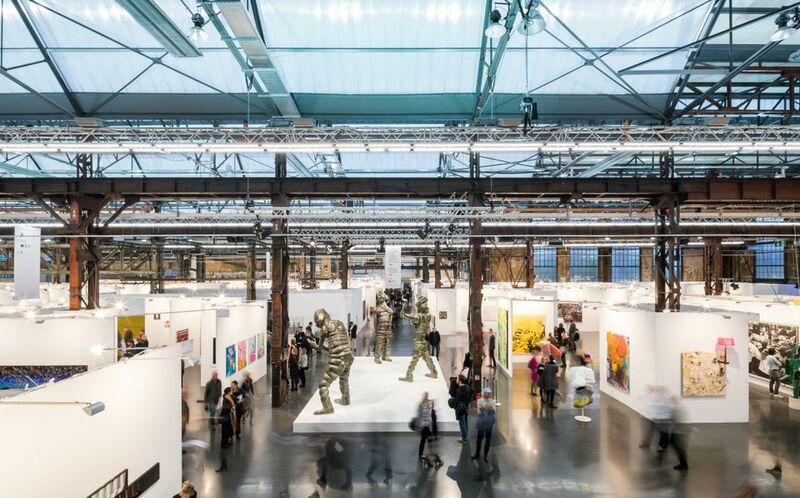 The Art Basel parent company acquired a 25.1% stake in Art Düsseldorf earlier this year. The current owners, Andreas Lohaus and Walter Gehlen, retain 74.9% of the company, although MCH has the option of buying a majority stake in the future. Gehlen says MCH had “no part” in selecting the galleries. “Art Düsseldorf is made by people in the region for people in the region,” he says. Indeed, the majority of collectors on the opening day were German (according to Gehlen, 50% of European collectors live in the surrounding area). German collectors included Gil Bronner, Julia Stoschek, Patrick Schwarz-Schuette and Thomas and Eva Loesche. Also at the fair were Yannicke and Wilfried Cooreman from Belgium; Carl Christian Aegidius from Denmark; Andrew Hall from the US and Hong-Kong-based Monique Burger.